The Dayton Philharmonic Volunteer Association collects new or used orchestra and band instruments. Donated instruments will be repaired or reconditioned, and then loaned to deserving students at Stivers School for the Arts and the Q the Music program at Ruskin Elementary school. Your gift will give these children the opportunity to shine musically and improve academically. Do you have a used instrument lurking in your closet somewhere? Would you like to see a child benefit from playing a musical instrument? Now is your chance to make a dream come true for a deserving young musician! Even instruments needing repair or refurbishment will brighten the future of a musically talented student! If you do not have a used instrument to contribute, please make a monetary donation. All monetary and instrument donations are tax deductible. 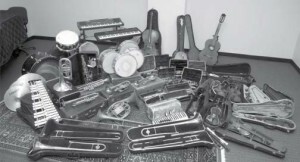 For additional information on ways to donate instruments, reach out to J Stanton at j.j.stanton@icloud.com.